Humanity is in a race with catastrophe and charting the course to a regenerative economy is the most important work facing the world. A Finer Futuregathers the evidence and delivers the essential blueprint for an economy that will rally communities, companies, and countries to create a world that works for 100% of humanity. It demonstrates how to transform finance, corporations, agriculture, energy, and the nature of how we work to enhance well-being among the many and restore trust and social capital by addressing income inequality and environmental destruction. Using references and case studies of solutions, it outlines the principles of a regenerative economy and details the policies needed to achieve it. 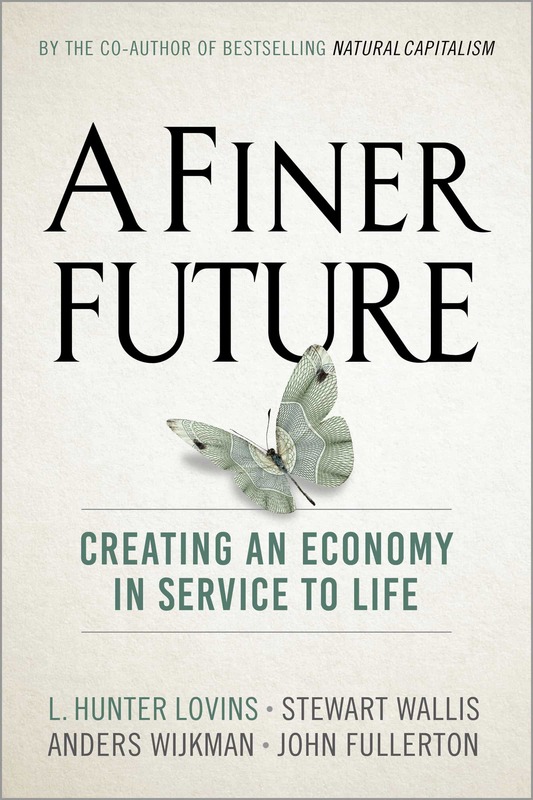 A Finer Future is aimed at business leaders, entrepreneurs, activists, and anyone who cares about the future of our planet. Rich with stories of communities implementing solutions, it describes the exciting news in the work to transform finance, business, energy agriculture and many other areas of our society to create an economy that works for every one of us. Visit the A Finer Future website.